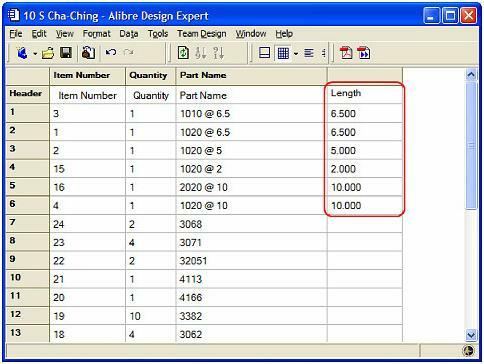 Alibre Design Tip: Using Design Values in a Bill of Materials. Use parametric values to update changes to the design automatically. 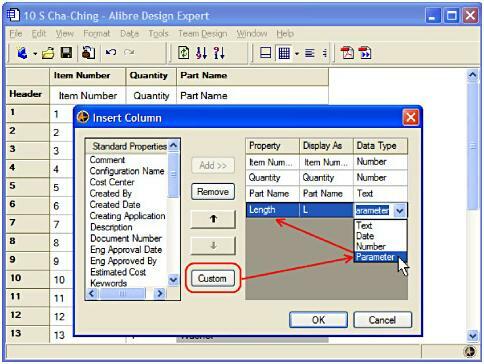 In Alibre Design, you can include parametric values used to create your designs in your bill of materials (BOM), and consequently in a drawing. This is especially useful if you use standard parts that are cut to length, such as in the design below, but it can also be useful for a wide variety of other circumstances. 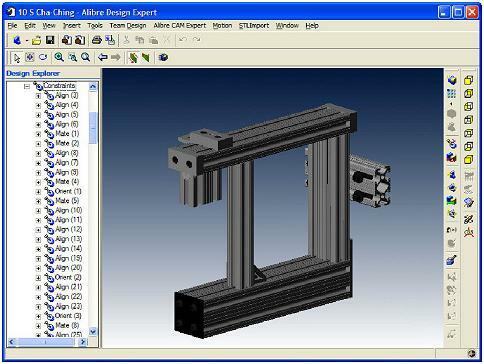 You can represent almost any value in your BOM, such as length, angle, offset distance, etc. A design using standard parts that are cut to length. 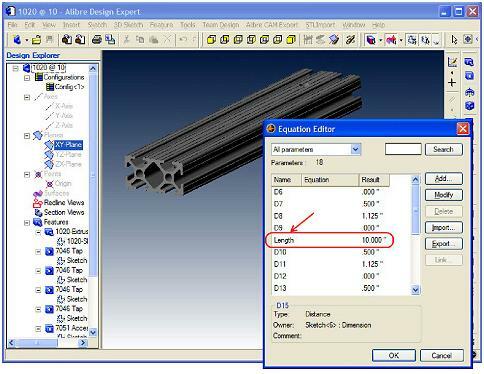 While designing your individual parts, you can use the Equation Editor to name values. 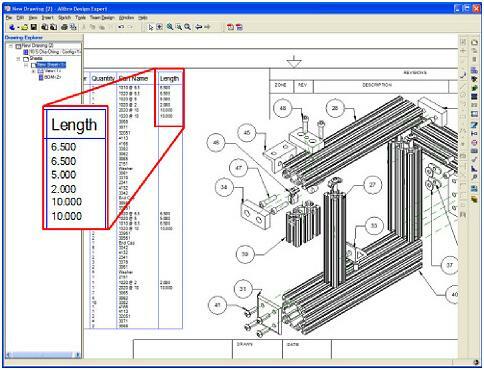 In our example, we are interested in the extrusion length of the T-Slots. While we design our assembly, we’ll be sure to go into each part’s Equation Editor and name this extrusion length “Length.” You can name it whatever you want depending on what you are trying to represent. Setting up a BOM to look for parameters and include them is easy. First, open your BOM in the BOM workspace. Insert a new column, click the Custom button, and select Parameter as the Data Type. Then, type in the parameter name you used during part design under the Property value. Inserting a new column that uses parameters. Step 3: Using the BOM in a drawing. After you are finished making the BOM, insert it into a drawing. Be sure to select your previously saved BOM using the Browse button instead of making a new one. After you insert it, you can add BOM callouts and further finish your drawing. Now, your design information is present directly on the drawing and will be updated automatically should you change any part of the design. Our final drawing using design parameters in the BOM.